1161 Nuuanu Ave., Honolulu, HI; 808-674-7156. Owner Bradley Rhea has a knack for surfacing vintage threads that translate in a cool, modern way—just the right amount of pop, never too costume-y. Although his store sells across several decades, he gravitates toward bright, psychedelic prints and beachy-bohemian neutrals. 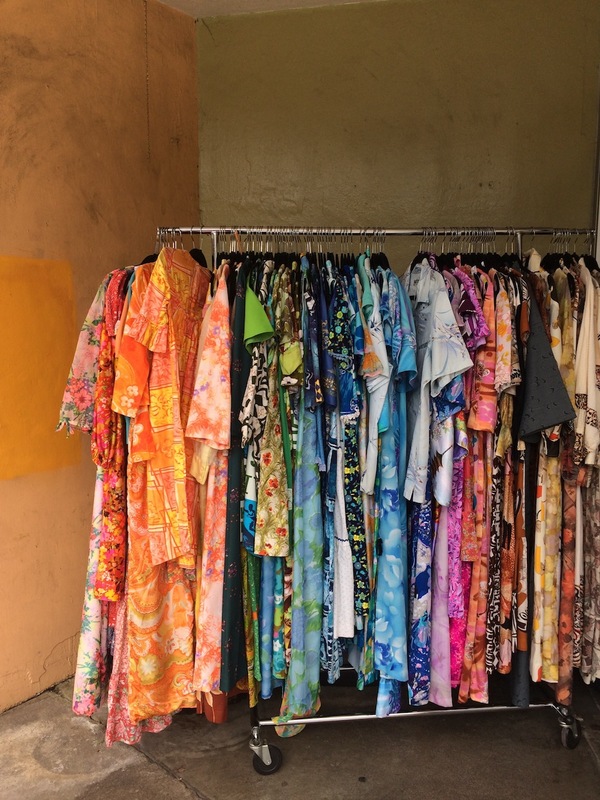 On a recent visit, we spotted floral muumuus from the 1960s, lightweight cotton kimonos from the ’70s, and Aloha shirts decorated with neon angel fish from the ’80s. It’s a funky mix, easy to rifle through, and a pittance to pay should you stumble upon something groovy. 1 N. Hotel St., Honolulu, HI; 808-536-7435. A lovely spot for picking up breezy linen jumpsuits, Conti sunglasses by Krewe, indigo-dyed rope bowls, ceramic crosses, and hefty marble book ends. The shop has an eye toward international design, pulling in unique decorative pieces like a silvery Sumatra wedding headdress. Other tones play in that safe neutral/rose gold/millennial pink color palette that so dominates Instagram. 22 S. Pauahi St., Honolulu, HI; 808-531-5311. If Chinatown was on fire and we could only save one boutique, it’d be Ginger13. Grim but true. The 4.5-year-old shop is run by talented jewelry designer Cindy Yokoyama, whose chunky statement pieces incorporate polished wood, tourmaline, agate, tiger’s eye, lapis lazuli, and jasper. 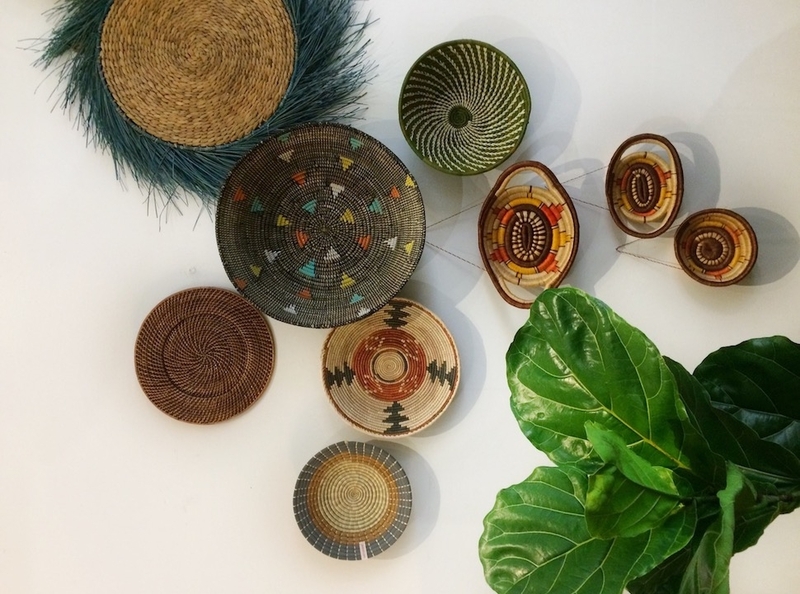 In her sunny, greenery-filled shop, these gemstone creations are interspersed with bundles of sage, macrame plant hangers, avant-garde pottery, spirit-healing crystals, and collapsible woven belly baskets from Vietnam. 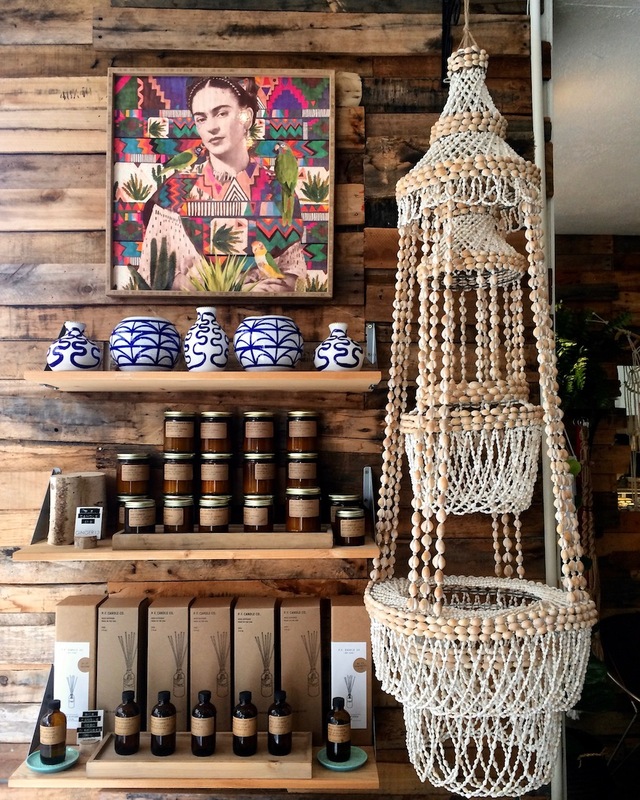 Taken altogether, the store is positively inspirational. 1156 Nuuanu Ave., Honolulu, HI; 808-779-8436. 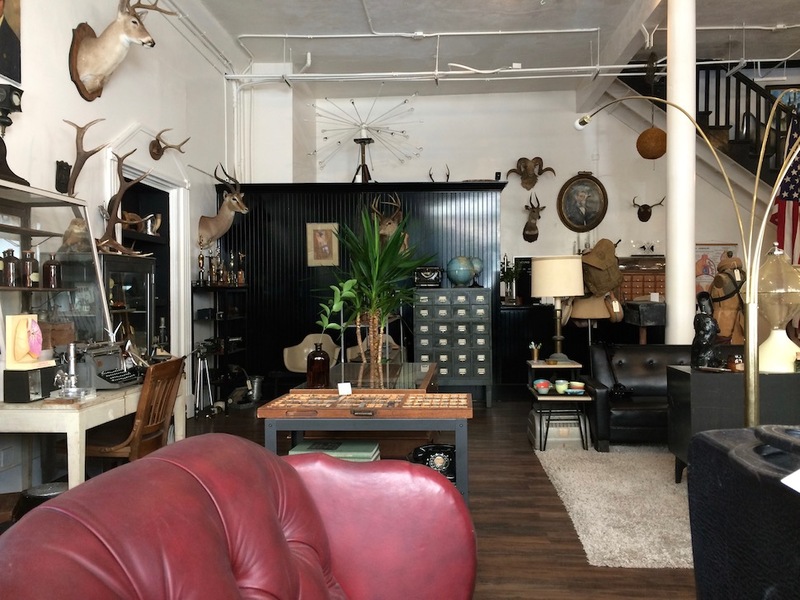 Mantiques and taxidermy, taxidermy and mantiques. Historic trappings of masculinity are big here, including turn-of-the-last-century typewriters and telescopes, box cameras hung on leather straps, scale-model sailboats, weather-beaten snowshoes, snakes in bell jars, and old-man oil paintings. Can you feel the testosterone? 1154 Nuuanu Ave., Honolulu, HI; 808-538-8898. 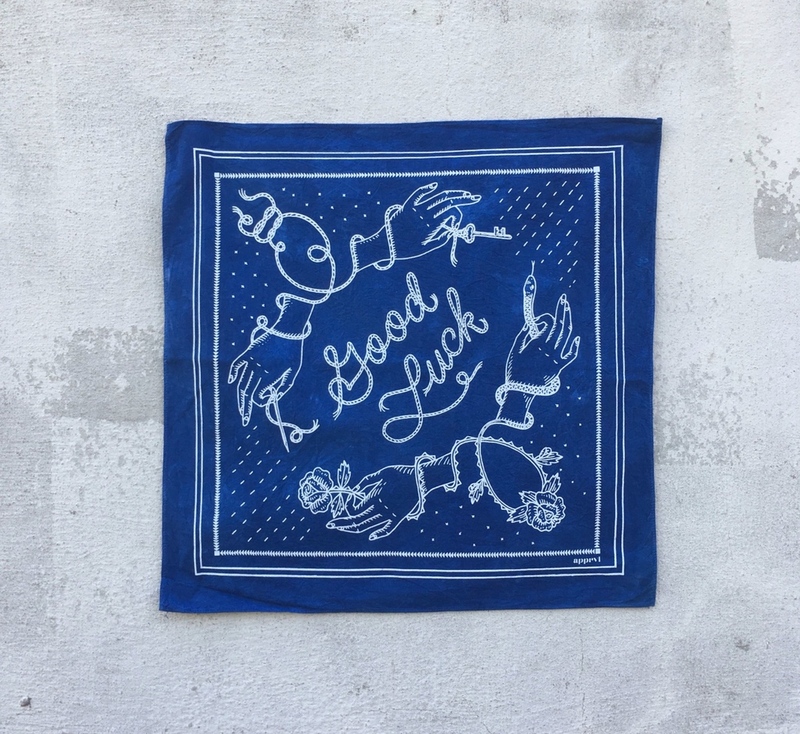 Skate punk meets surfer dude culture at this low-key, mostly men’s clothing shop. 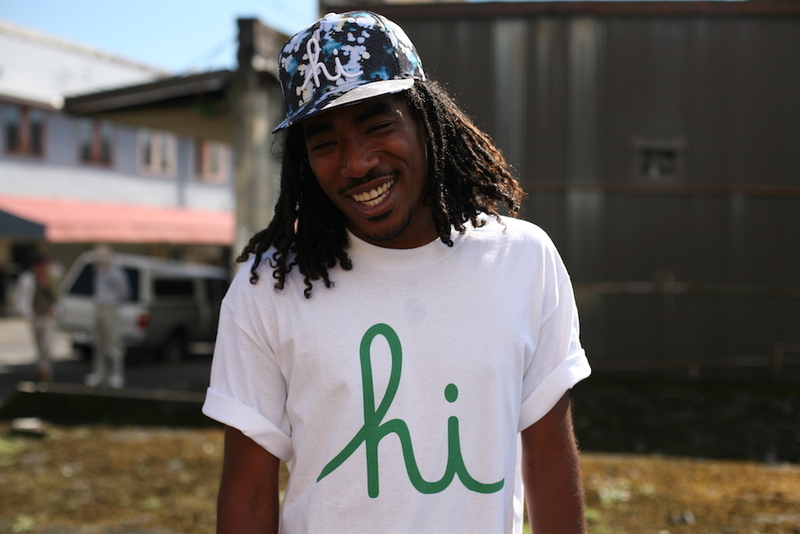 The gear to buy here is typographically bold—like logo hats and tees printed with a script-y hi (as in Hawaii, not hello… although that works, too). 1152 Nuuanu Ave., Honolulu, HI; 808-531-4300. Another sweet gift emporium chockablock with colorful Turkish towels, leather coasters debossed with pineapples, and fragrant made-in-Maui soaps. 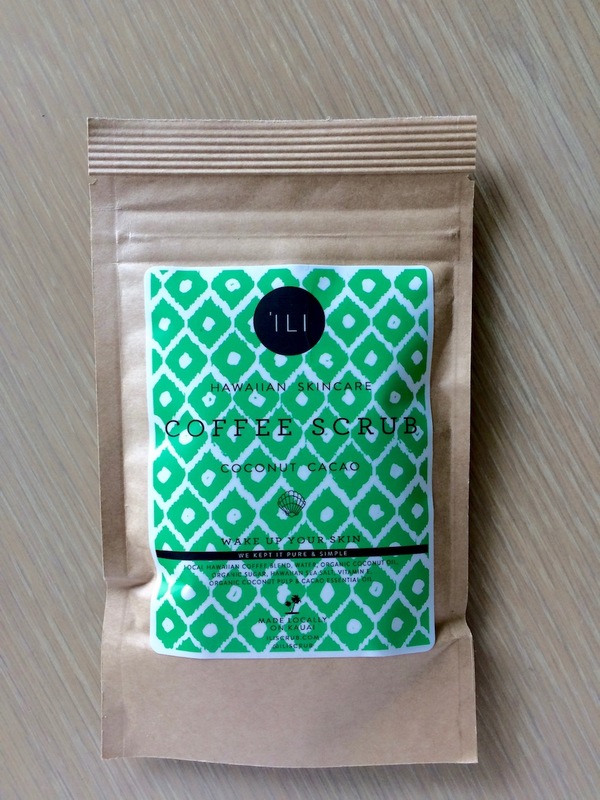 Among the coolest souvenirs you can pick up for yourself or others is the store’s hand-painted Lanikai porcelain pots, designed specifically for planting succulents, and a delicious-smelling coconut cacao coffee scrub by Kauai-based company ‘Ili Hawaiian Skincare. 19 N. Pauahi St., Honolulu, HI; 808-526-1111. This is one of the longest-running stores in the neighborhood and the first to lay the groundwork for gentrification. 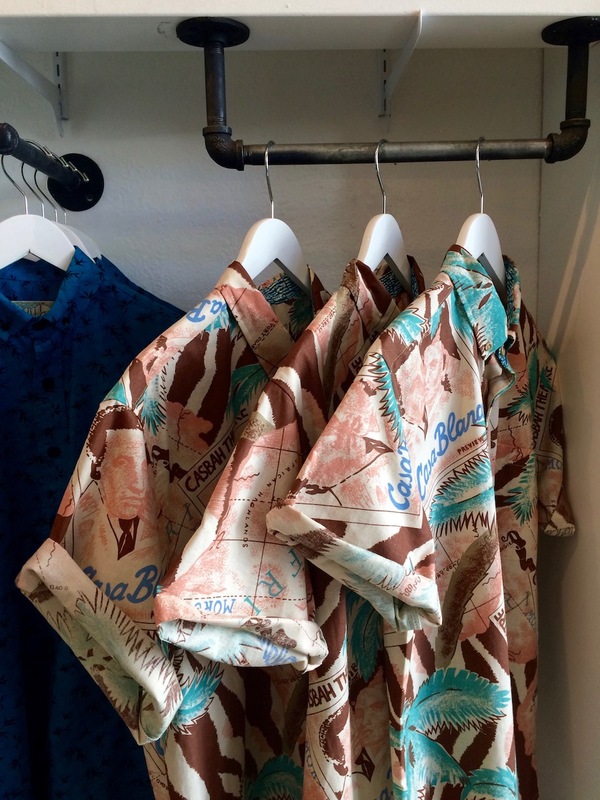 Stop in to purchase locally made Aloha shirts for men and women. Some cuts are fashioned with deadstock fabric from Barrio Vintage; others are of-the-moment interpretations of classic Hawaiian prints like hibiscus and Birds of Paradise. (Note: Because so many Japanese tourists come to Honolulu, the sizes at Roberta Oaks tend to skew small. Westerners should scale up one to two sizes from their usual number when trying on clothing.) Elsewhere in the shop, you’ll find delightful Nippon Kodo incense imported from Japan (the Aloeswood scent = heaven), fruity dog bandanas, and intoxicating Hi Wildflower candles and roller-ball perfumes. 1026 Nuuanu Ave., Honolulu, HI; 808-524-3009. Hands down the deepest, most comprehensive selection of Hawaiiana in Honolulu, with the prices to match. Tin Can Mailman is crammed wall-to-wall and floor-to-ceiling with Hawaiian-themed books, postcards, magazine clippings, and other ephemera. It has been written about extensively in Japanese magazines, so when the overseas collectors show up, they’re ready to drop some serious yen. (Translation: Don’t be shocked by a $250 price tag on, say, a single-page advertisement.) 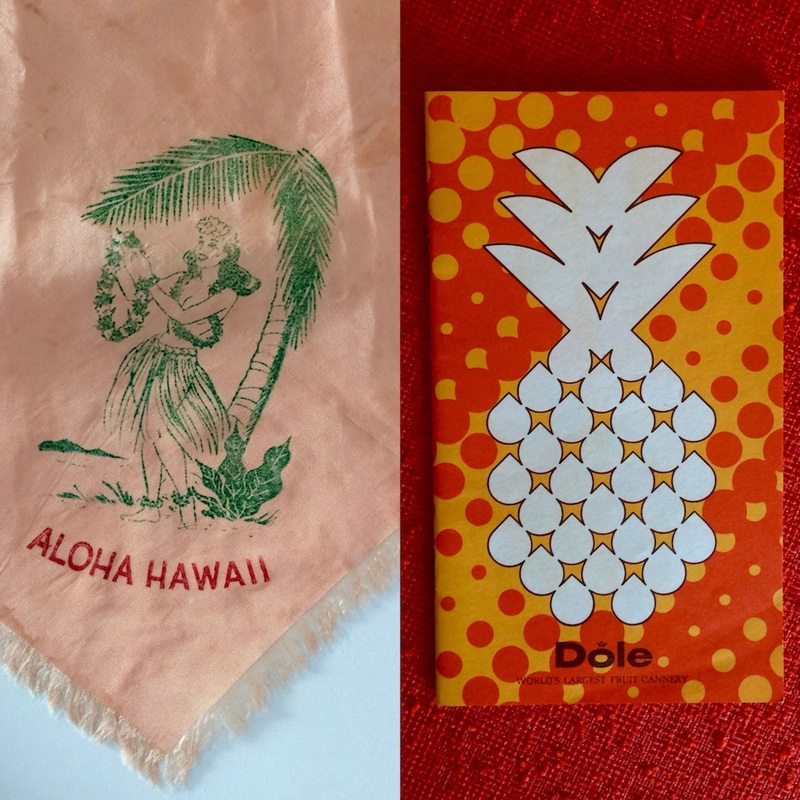 Fruit labels, island maps, hand-carved tiki mugs, hula-girl bobble heads, and Varga Girl centerfolds are also popular. FYI: The shop has a strict no-photo policy, which we wouldn’t dare cross. + Stop by the Hawaiian Chinese Multicultural Museum & Archives at the Maunakea Marketplace. Entry is free and the collection offers a small window into the roots and history of the immigrant neighborhood. + Browse the wall of retired library books for sale at Books at Marks, part of the multi-use creative space ARTS at Marks Garage. Most titles cost $1 to $3. 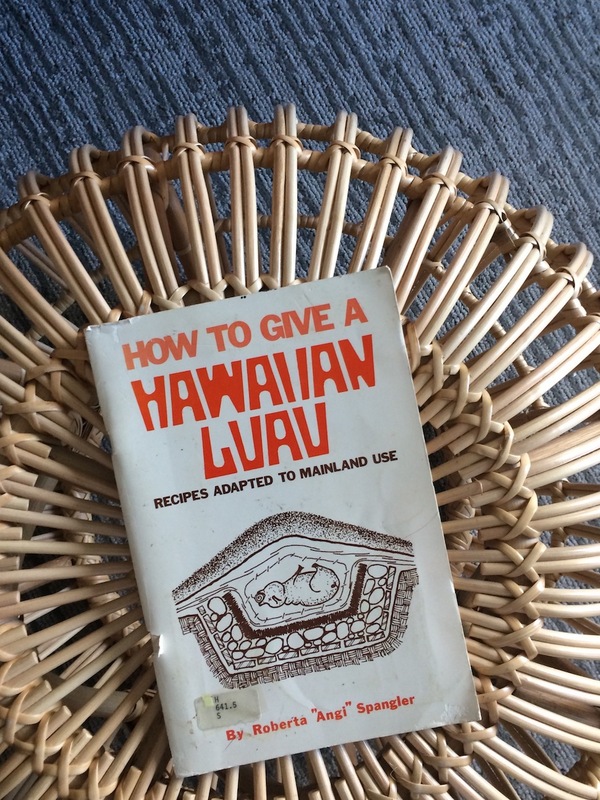 Our find of the day: How to Give a Hawaiian Luau: Recipes Adapted to Mainland Use (1977). + Pop your head into one of Chinatown’s many lei-making shops (Flower Fair, Cindy’s Lei Shoppe, Lin’s Lei Shop) to see how mountains of fresh flowers are turned into wearable art. + Pick up a cluster of Hilo Kaimana lychees and a bag of blooming tea balls at Sun Chong Grocery or award-winning bean-to-bar chocolate bars from Madre Chocolate. For on-the-spot snacking, the black sugar pineapple buns, char sui manapua, or famous custard pie at Lee’s Bakery & Kitchen will do the trick.